How much are you willing to pay for a pair of jeans? Jeans are pants, a type of garment, typically made from denim or dungaree cloth. Often the term "jeans" refers to a particular style of pants, called "blue jeans". Jeans come in a very wide assortment of styles, qualities, and sizes. The quality of denim, the finish, and the brand name are of key importance determining the price of the garments. Designer clothing is clothing that bears the logo of a recognizable fashion designer. Designer jeans are typically rather expensive. 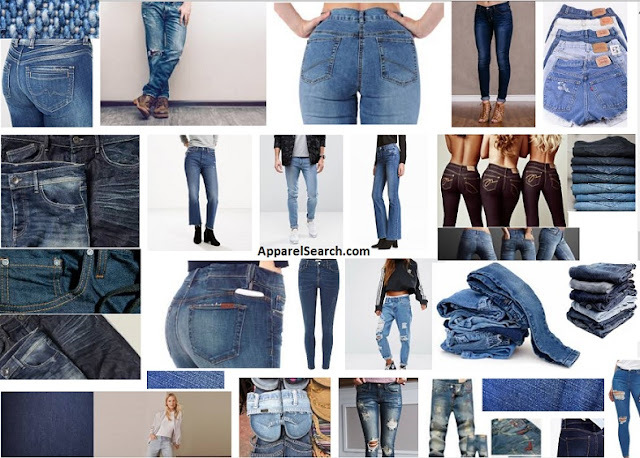 If you are looking for jeans under $100 try the fashion stores below. French Connection - French Connection is a UK-based global retailer and wholesaler of fashion clothing. Denim is one of the stores options. Mango - At Mango, their business goes beyond design, beyond manufacture and beyond the marketing of garments and accessories for women and men. All their stores are in prime locations, either in shopping centers or in city centers. In order to display their collections, stores have dimensions which make it possible to maintain the interior design, image and product display criteria they have designed in order to create a pleasant environment in which customers can enjoy the shopping experience. Visit a Mango store to find top notch denim jeans to fit your budget (or break it). River Island - With over 60 years of fashion retailing experience, River Island is one of the most well-known and loved brands on the High Street (yes, that is in London). At River Island they are renowned for their stylish, affordable fashion. With over 350 stores across the UK, Ireland and internationally throughout Asia, the Middle East and Europe, as well as six dedicated online sites operating in four currencies, it’s time to get shopping for a new pair of denim under $100. TopShop - no matter what pair you choose, you will be eye-catching and trend setting after shopping at Topshop. Uniqlo - Apparel that comes from Japanese values of simplicity, quality and longevity. Designed to be of the time and for the time. Made with such modern elegance that it becomes the building blocks of your style. Perfect jeans for any budget can be found at Uniqlo. Shop for jeans under 100 hundred dollars or above. Forever21 - Forever 21 is the authority on fashion & the go-to retailer for the latest trends, must-have styles & the hottest deals. You can probably find a nice selection of women's or men's jeans under 100 dollars. Obviously, you can also shop for jeans under $100. at retailers such as Target, Walmart, Kohls, JC Penny, etc. See more denim jeans under $100 so that you you can explore more options. Where do you shop for your jeans?